Lotus insists it is not worried that Red Bull may try to lure Kimi Raikkonen away next year. Amid the fallout from the Red Bull 'Multi 21' team orders controversy, there has been increased speculation that the outfit may need a new team-mate for Sebastian Vettel in 2014. With question marks still surrounding the potential of Toro Rosso juniors Daniel Ricciardo and Jean-Eric Vergne, Red Bull owner Dietrich Mateschitz recently admitted that Raikkonen was an obvious candidate if the outfit elects to make a change. Lotus owner Gerard Lopez says he is not unduly concerned about Red Bull's expression of interest, and he thinks that Raikkonen has enough reasons to stay at Lotus for another year. When asked by AUTOSPORT if he believed Lotus would have a fight on its hands with Red Bull for Raikkonen's services, Lopez said: "Kimi's position is going to be based on a bunch of things and not on what Red Bull say - I think they have their hands full right now. "As far as we are concerned, the relationship with Kimi is excellent. "We are where we want to be, he is where he wants to be, and I can guarantee you that Kimi is not the sort of guy who is going to sign any sort of pre-contract. Not with anybody. "If we keep giving him what he wants then I don't see there is any reason for him to go anywhere. "We are happy, so we don't see any reason to replace him." Lopez suspects that Red Bull's mentioning of Raikkonen may have been a political move to try to calm the situation down at its own team following the Malaysia controversy. "I think it [future drivers] is far off the whole game right now," he said. "They have their own issues and maybe saying something like that, they are thinking it may be able to help them but I don't see how. "We are well where we are and I think Kimi will stay." Great response from Lotus! It almost sounds like they are mad that Red Bull is making moves on their driver! Fernando Alonso says Kimi Raikkonen has had a strong start to the season with Lotus. Sebastian Vettel leads the driversâ€™ championship at the moment but Alonso believes â€œchampionship positions are not really importantâ€� at this stage. â€œWe know the Red Bull is probably the strongest car,â€� he added. Naaa, I don't like what Alonso says, he usually shits on everybody. Kimi doesn't need to be praised by him anyway, he knows he is the best. Kimi RÃ¤ikkÃ¶nen has 33 WC-points more than he had last season at this time. Are you satisfied with the situation? â€“ We've had a better beginning than last spring but I'm not satisfied with everything. We've had some difficultites and no matter what you achieve a racer always wants a bit more, RÃ¤ikkÃ¶nen said. A year ago RÃ¤ikkÃ¶nen got his first podium in Bahrain, where he finished second, 3,333 seconds after Sebastian Vettel. Based upon the results from the first season you seem to have a better car than last year. Where does the improvement come from? â€“ But we also had a good car last year. We just didn't understand it as well as we now have understood it. We were able to improve the car in the endseason and it has worked well from the beginning, Kimi says. RÃ¤ikkÃ¶nen is seen as the best controller of tires at the moment. Competitors have critisized that current races don't offer real racing anymore. RÃ¤ikkÃ¶nen takes the tire-situation with ice-cold calmness. He reminds that critical exaggerations are logical, but on the other hand they are also useless. â€“ It's difficult to define how good we are with tires. In some conditions we aren't as strong as we would want to be, but so far it has been pretty good. We are usually good in hot temperatures but it doesn't mean that we would always be good in hot temperatures. â€“ We have a good car and there's nothing to complain about tires, although we also have difficulties at times just like others have. â€“ There will always be complainers. There will never be a situation in F1 where everybody would be happy. Now some complain, but if something would be changed then some others would complain instead. Then how does RÃ¤ikkÃ¶nen reply to those who think that the current racing doesn't measure up to real racing? â€“ In practice there's no big difference to what we have experienced in the tire department during ten years. There's always been phases when you can't drive 100%. And the 100% speed is not always the fastest way to drive through a race. â€“ I don't think that racing in the lead is worse or better than it used to be. Nothing has changed when racing in the lead. Overtaking is in general easier, but it depends on the car how easy it is. Racing hasn't changed during my time, rules change but not racing itself, Kimi says. RÃ¤ikkÃ¶nen can't escape the Red Bull -rumours about next year. â€“ Right now we are in this season and it requires all the attention, since I want to win and do well. Let's think about the future at some point later on. I don't have a contract with anyone. Then what does RÃ¤ikkÃ¶nen think about Sebastian Vettel, his possible teammate next season? â€“ He hasn't changed at all during the 4-5 years I've known him. He is only a little bit older and knows more about motosport. And there's no difference when we race against each other. Of course there might always be some complaining, but that's normal for everybody. RÃ¤ikkÃ¶nen thinks four teams will be in the championship battle. â€“ At the moment it seems like four teams could win races. The team who has most points when the season ends also deserves the championship. Kimi Raikkonen has insisted he is yet to give any thought about where he might drive in 2014 amid renewed speculation that the Finn may replace Mark Webber at Red Bull. With the fractious relationship between Webber and Sebastian Vettel, which was lukewarm at the best of times, hitting a new, irreparable low in the fall-out from Vettel's deeply contentious victory at the Malaysian GP, Webber is widely expected to leave the World Champions when his existing one-year deal expires in eight months' time. Toro Rosso's Daniel Ricciardo and highly-rated young charger Felix da Costa have both been cited as candidates to replace Webber, but it is Raikkonen who appears to be in pole position to fill the coveted seat alongside Vettel. Nevertheless, Raikkonen is adamant that he is in no rush to finalise a deal for next season despite his own deal with Lotus expiring at the end of this year. "I have no contract for next year - that much is true. But further than that, I don't want to discuss the matter. I want to do well this season and everything else will fall into place," he told the official Formula 1 website. "There are many things that are undecided and there is still a long way to go this season, so let's see how things unfold. We will see pretty significant changes when teams switch to their 2014 car development - and then it will be interesting to see what is going on." Speculation that Raikkonen is poised to transfer to Red Bull has intensified in recent weeks, with Sky Sports F1 commentator David Croft among those predicting the Finn will form a mouthwatering partnership with Vettel in 2014. "From talking to people in the paddock and watching what is going on, I just have the feeling that a big-name signing, even though they have plenty of good up-and-coming drivers in the Red Bull development programme, is what they want," declared Crofty during Sky Sports F1's coverage of the Bahrain GP. Unlike the gritty, plain-spoken Webber, who caused a stir in midweek by dining with Vettel's perennial title rival Fernando Alonso, Raikkonen is a close friend of the German and possesses the sort of laidback character which is likely to bring harmony to a team ripped asunder by events at Sepang. "Kimi is holding a lot of good cards," declared Sky F1 pundit Anthony Davidson. "Raikkonen is good friends with Vettel and they play badminton together - and apparently Kimi always wins." Whereas visualising Raikkonen in a Red Bull racing suit for 2014 is certainly far easier to foresee than imagining the taciturn Finn neatly decked out in a pristine badminton kit, the picture is cloudier still for Webber's future. While the immediately-implausible rumours of Webber signing a five-year deal with Porsche were given short shrift by the 36-year-old in the Bahrain paddock this week, the veteran dodged an invitation on Friday to confirm he will continue in F1 in 2014 and a switch of motorsport series remains eminently feasible. As ever, the F1 rumour mill hasn't been left idle for long. A year ago RÃ¤ikkÃ¶nen had one chance to overtake Vettel in Bahrain GP. On Sunday RÃ¤ikkÃ¶nen was once again forced to settle for the 2nd podium, but this time without being able to tease Vettel at all. The exact same trio - Vettel, RÃ¤ikkÃ¶nen and Romain Grosjean â€“ stood on the podium in the exact same order. Vettel took his second victory, but Lotus scored most WC-points for the first time this season - and they went past Ferrari and are now second. 3rd position was quite a boost for Grosjean's selfconfidence. RÃ¤ikkÃ¶nen's weekend was this time itchy with thorns. The qualification failed when they lost the balance for one stint in setups because the weather got a few degrees cooler. Then RÃ¤ikkÃ¶nen had an allergic reaction in midday, which made his skin red and very itchy. â€“ The allergy hits 3-4 times a year. I have no idea where it came from just before the race. It affects the skin most of all, not the eyes so much. It got better with antihistamine and a short rest, Mark Arnall cleared to Turun Sanomat. RÃ¤ikkÃ¶nen's performance in the race was impressive once again. The start could have gone better and the car didn't work as the driver wanted in the beginning, but lap by lap Lotus met the driver halfway and the strategy started to work. RÃ¤ikkÃ¶nen's ability to manage tires was highlighted also in the season's hottest race. â€“ World Champions have the ability to adapt their driving style track by track so they can take care of their tires, Pirelli's leading man Paul Hembery praised RÃ¤ikkÃ¶nen's strategy in action. â€“ It was fascinating to follow how both Lotus-drivers were on a different strategy and yet they finished 2nd and 3rd. RÃ¤ikkÃ¶nen told the team that he could have drove for a longer time since his tires were so good. â€“ That way we could have beaten Force India (Paul di Resta) easier, but on the other hand it wouldn't had changed the result in any way. We didn't have the speed to challenge Red Bull in qualification or in race this weekend. â€“ I got the maximum out of it and in this race it took me to 2nd place. The result was good but of course it could have been more perfect with one more position, RÃ¤ikkÃ¶nen weighed. â€“ I am never satisfied if I don't win. But at least we got the best result we were able to get after our a lousy Saturday. Vettel made a ten points gap to RÃ¤ikkÃ¶nen by winning. RÃ¤ikkÃ¶nen drove his consecutive 21st race scoring points and he is now only three races away from Michael Schumacher's record of all times. â€“ It's useless to draw any conclusions about the WDC-battle at this stage, but if we lose to Vettel every time when coming in 2nd he will escape even further away. We will certainly battle to the end, but we have to get more points than him quickly. Let's see what happens next in Barcelona. RÃ¤ikkÃ¶nen has been six times on the podium in his eight races in Bahrain. However he still has no victory from this track. Which one of these six races have been your best race? â€“ I don't know and it doesn't matter either. Of course 2nd is better than 3rd, but I didn't get the victory I battle for every time. We got good points again, but when Vettel wins all the time it doesn't help at all. We just have to come up with some improvements from somewhere, RÃ¤ikkÃ¶nen charged. 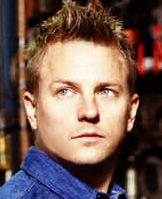 Hey, I'm really glad Kimi actually is eying the Championship... that could only be a good thing. Sorpresa! In esclusiva per SocialChannel ecco a voi in queste foto clamorose in uno yacht a Miami un â€œallegrissimoâ€� Kimi-Matias RÃ¤ikkÃ¶nen con tanto di preservativo in testa, che pascola divertito nei giardinetti pubblici scalzo e con il sederino al vento. Una cosa eâ€™ certa: lâ€™anima della festa eâ€™ stato indubbiamente il pilota di Formula 1! Kimi having some fun, ok with me!